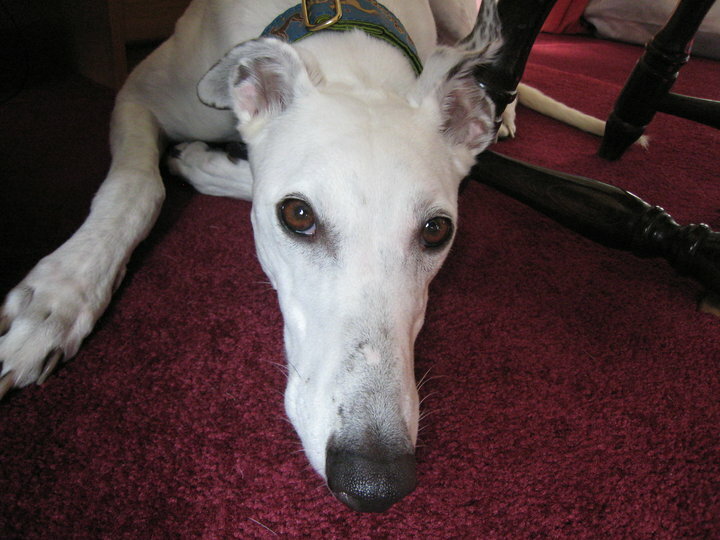 Dutch is our second greyhound. Soon after we got him, he was involved in a bad running accident while being tested to see if he was keen enough for lure coursing, a sport our little female took best of breed her first time out. The accident dislocated his middle toe which is one of the load bearing toes. An operation fused the knuckle to form a solid joint. Dutch had a very hard time walking on the toe to elbow splint during the seven weeks recuperation. He had to rest every two houses on the way to the park (the only place where he would do his business). So it took three rest stops to the park and three stops back on an average of four times a day. Dutch did not just stop and rest but he would “sit.” So my wife and I started to give him the “sit” command whenever he would rest. When the splint came off, he went under the knife again to remove the pin that was holding his toe together. We were wrong to think that he would become a whole dog again because he still refused to walk on the damaged foot. Now he would hold the paw up when he sat. So once again my wife and I did therapy with him and when it was time to rest on the way to the park, we would say, “Sit…Paw.” It did not take long before he was doing both on command. He did eventually walk again but he has his off days. After Roseanne and I endured the expense and patience to get Dutch on the road to recovery, it was my wife’s time to go in for knee surgery. The first week of her recovery she had to sleep on the sofa in the living room and Dutch decided it was his turn to stand a silent vigil and nurse her back to health. He was her shadow 24 hours a day. He licked her bandages in a way that you could tell that he knew it was payback time and he was going to be a therapy dog. 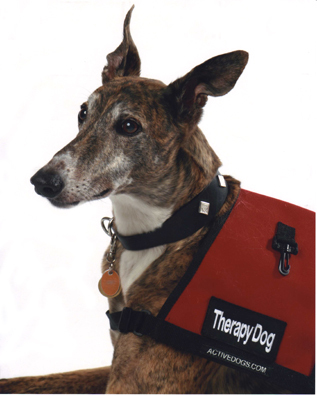 I wonder if I would be a good therapy dog. Brook Lim.